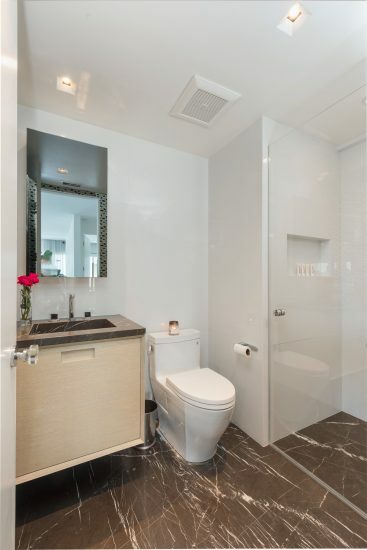 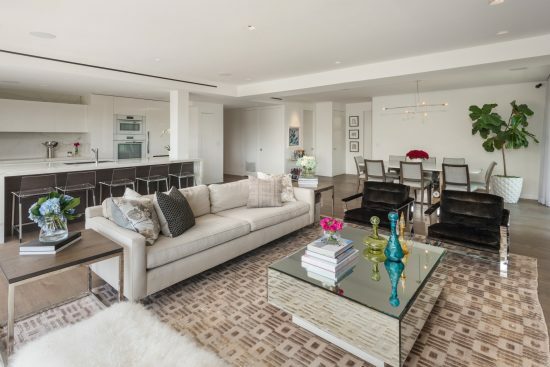 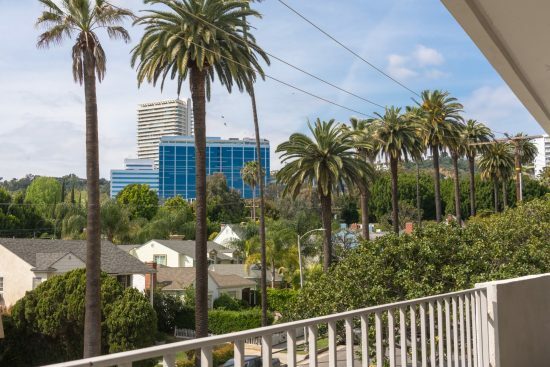 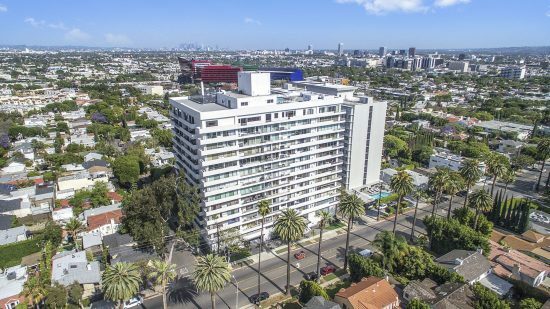 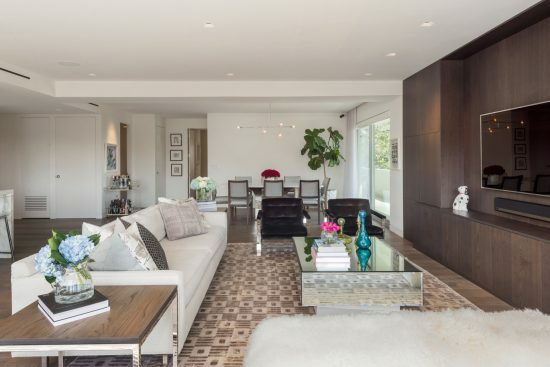 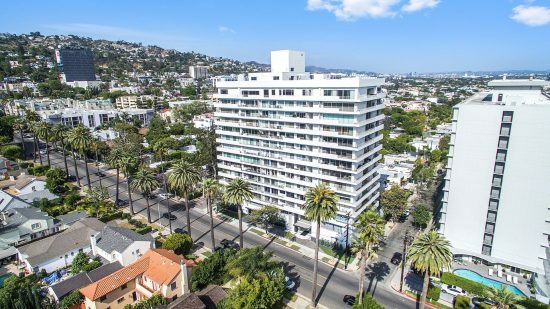 Contemporary designer condo at the premiere full service building - 838 Doheny. 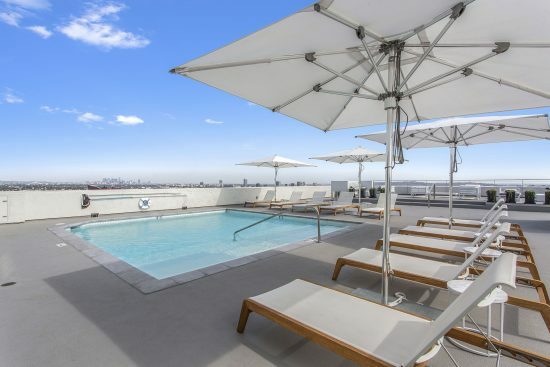 Setting the bar for luxury living in Los Angeles. 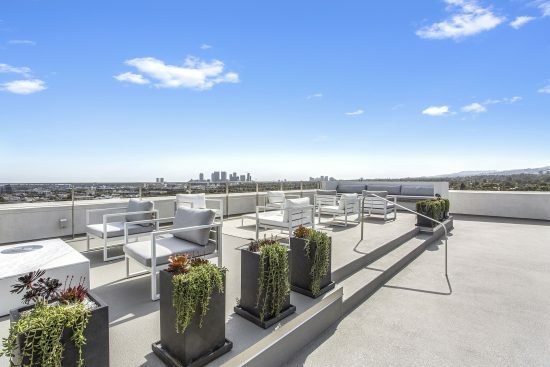 Unit #301 is a sophisticated open space, clean contemporary lines are complemented by fully retractable walls of glass showcasing views of Century City to the west and eastern views over West Hollywood, the PDC and beyond. 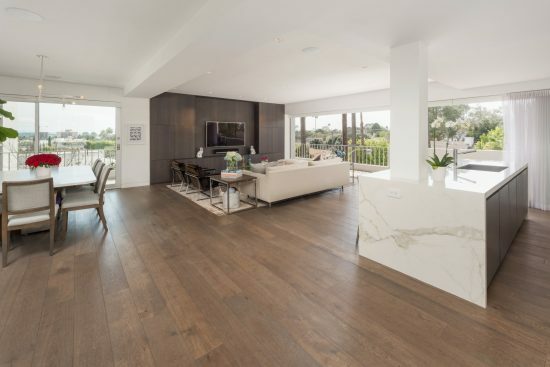 Floor to ceiling Fleetwood doors open to the wrap around patio for ultimate indoor/outdoor living. 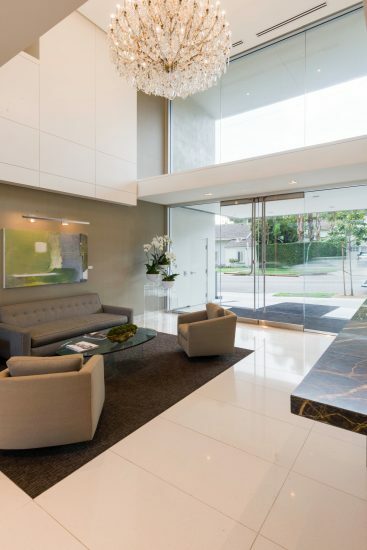 An entry leads to open-concept living room, formal dining and chef's kitchen area with eat at island bar. 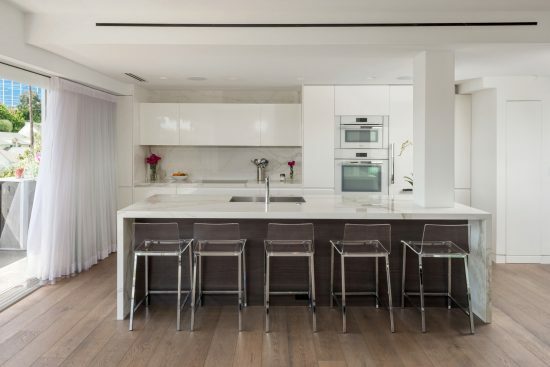 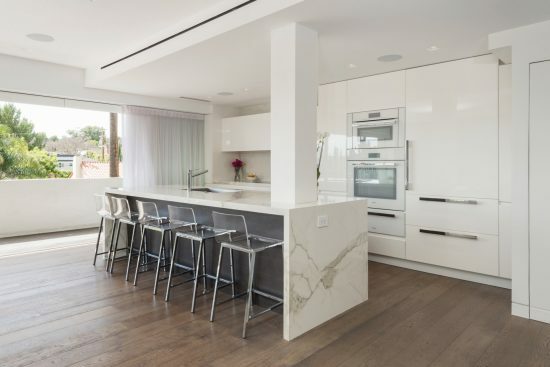 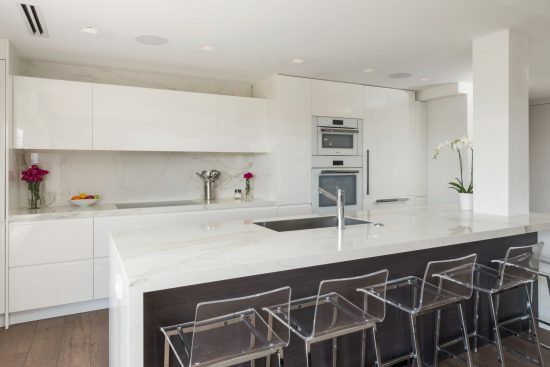 The kitchen features custom European cabinets with porcelain waterfall countertop, Subzero, Miele and Bosch appliances, creating a perfect layout for entertaining. 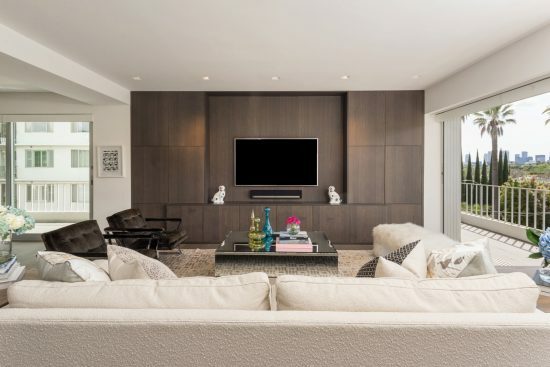 The living area with theatre-style visual & audio, full surround sound with Sonos system, motorized solar shades, Lutton smart home lighting controls, Nest thermostat and air filtration system. 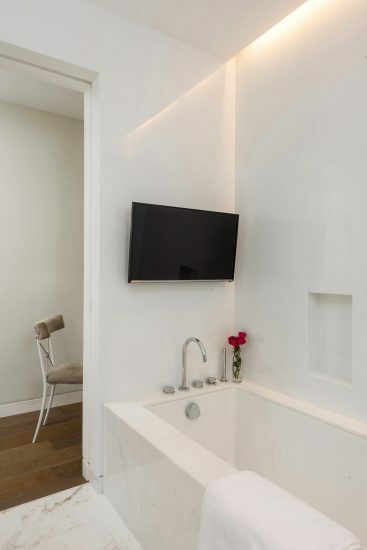 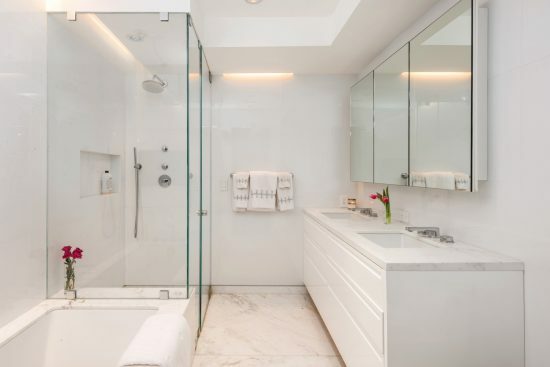 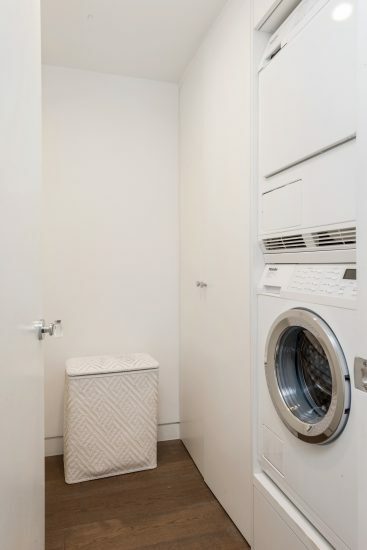 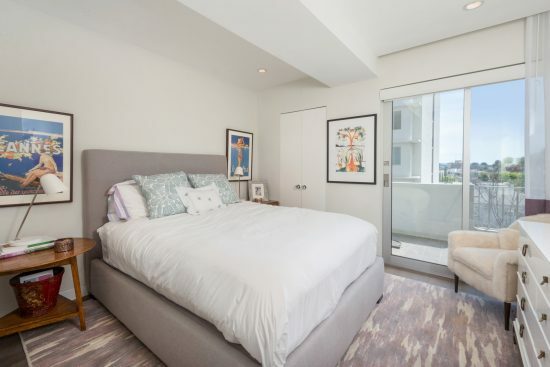 The rarely available two-bedroom unit features a master bedroom with ensuite bathroom: a dual vanity, separate soaking tub, glassed shower, Zuchetti fixtures and heated floors, a spacious walk-in closet, extra storage and dressing area. 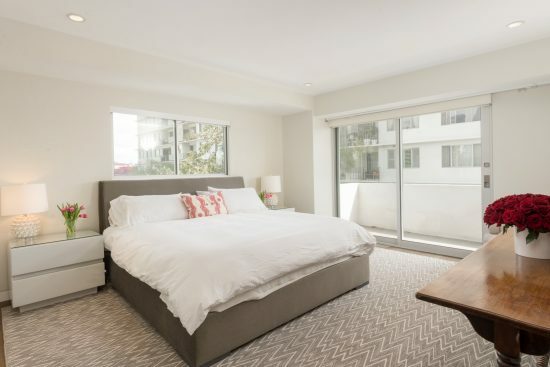 A guest room and second bathroom complete. 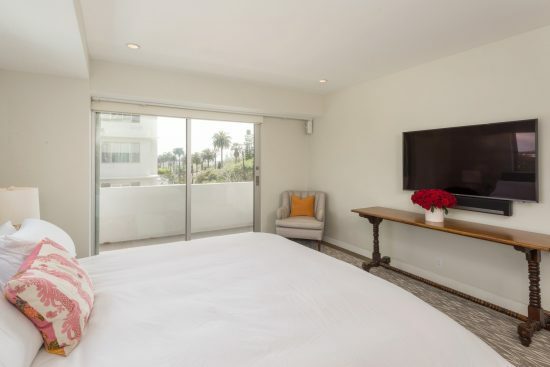 All rooms open to the extensive wrap-around patio. 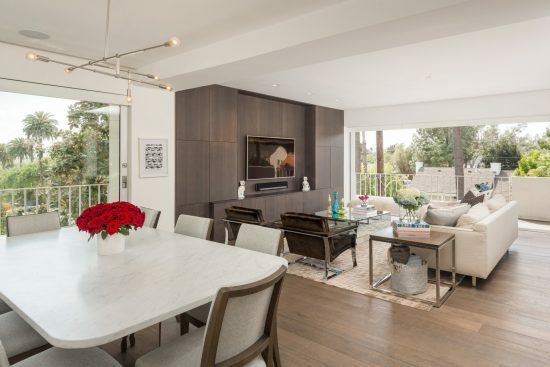 Additional features include wide-plank Oak floors throughout, all new electrical and plumbing systems, private laundry room with pantry area and storage. 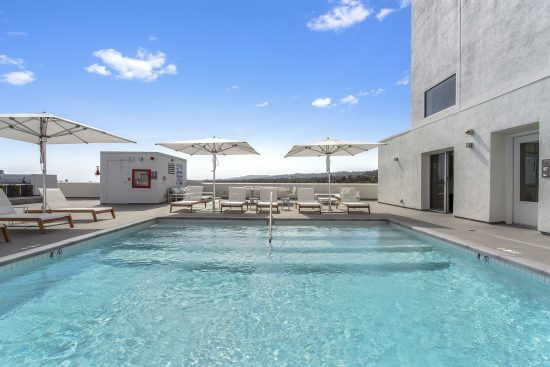 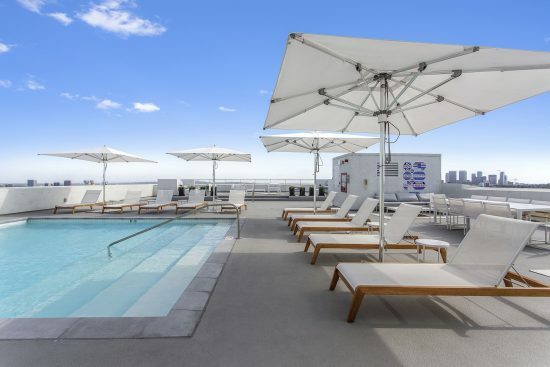 Building amenities: a roof-top pool with lounge, sundecks and al fresco dining areas, fire-pits, modern gym and 360 degree views from city to ocean. 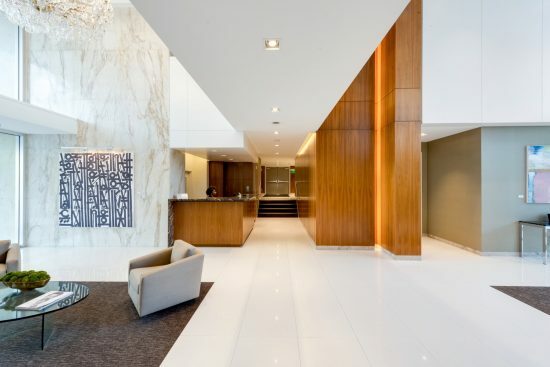 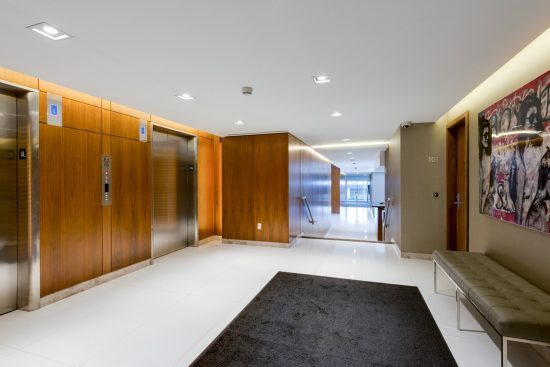 A luxurious lobby opens to the second pool area, full time concierge/reception, valet parking, smart security access technology, and exemplary on-site management and professional staff. 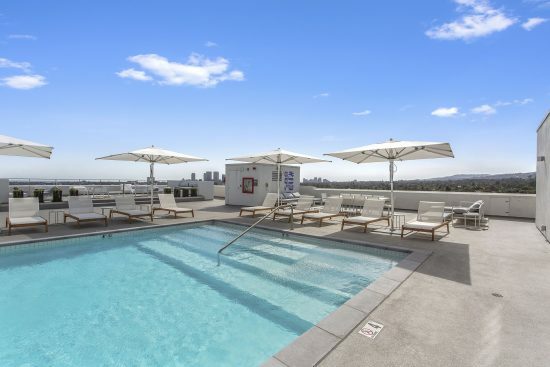 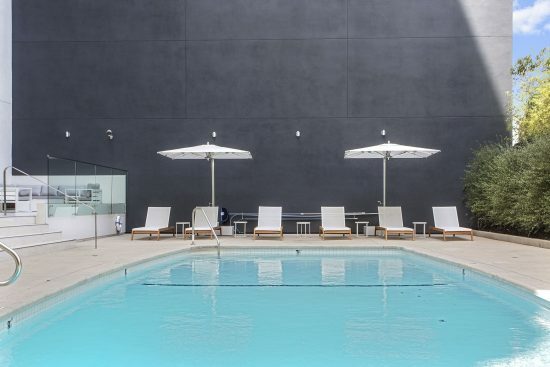 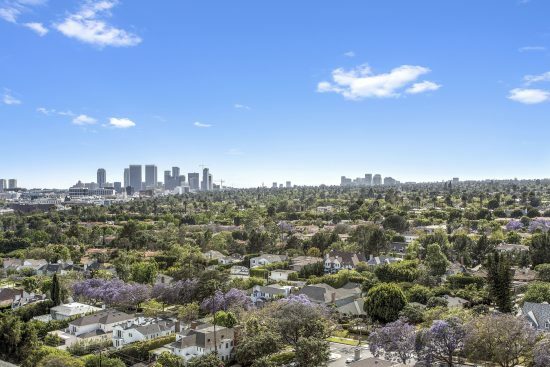 Located at the merger of Beverly Hills & West Hollywood, the epitome of urban convenience. 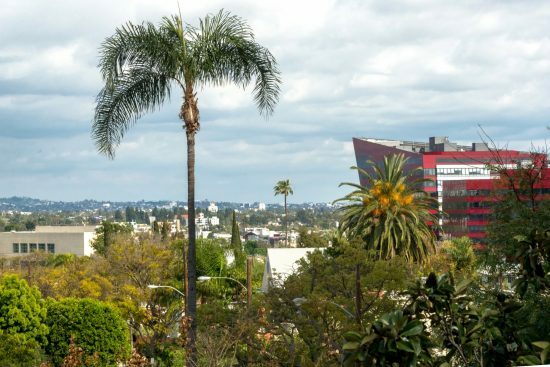 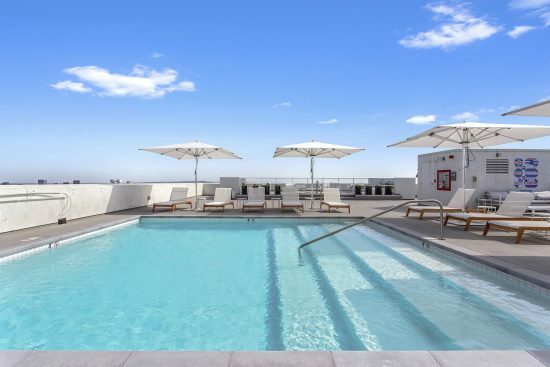 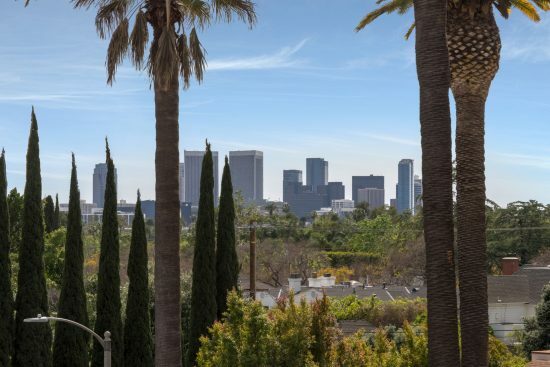 Stroll to cafe’s, grocery, parks, restaurants such as BOA, Sushi Roku, SoHo House, Dan Tanas, Craigs, the rooftop at The London and infamous nightlife venues on Santa Monica and Sunset Blvd. 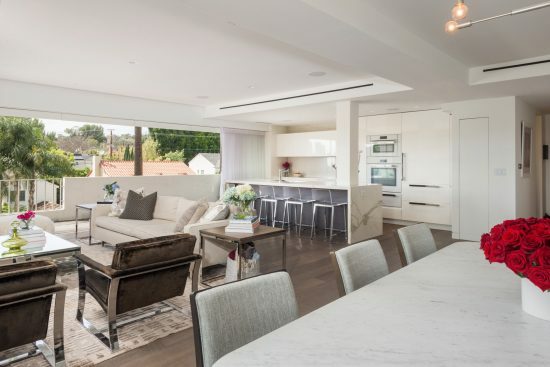 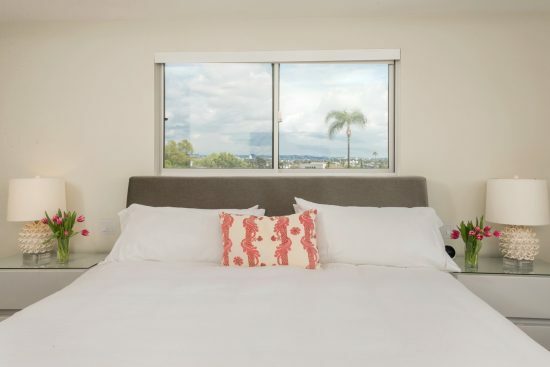 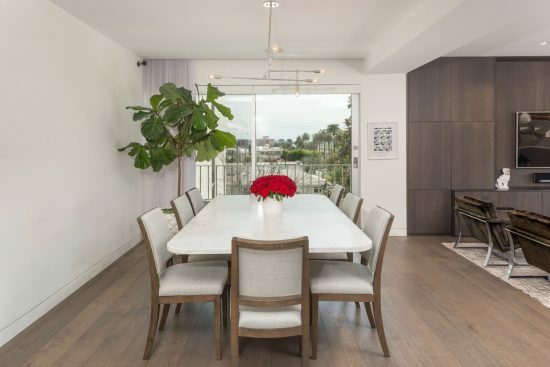 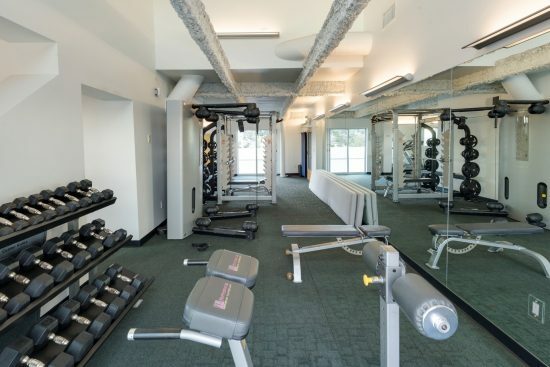 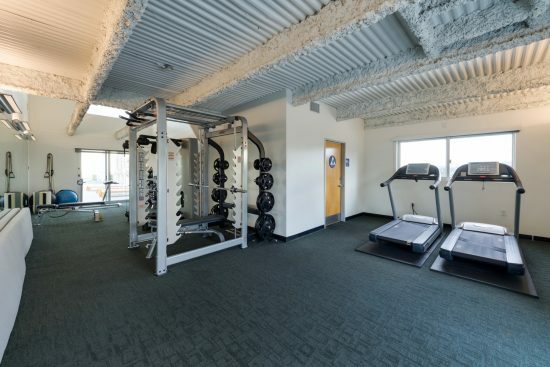 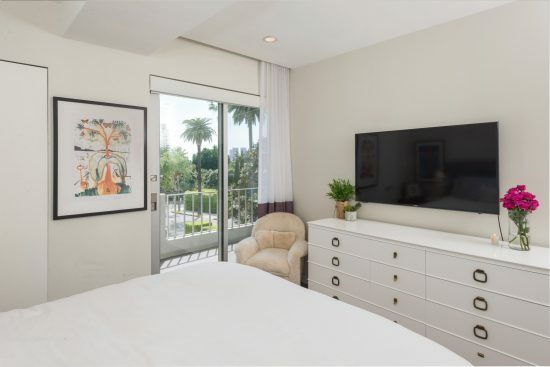 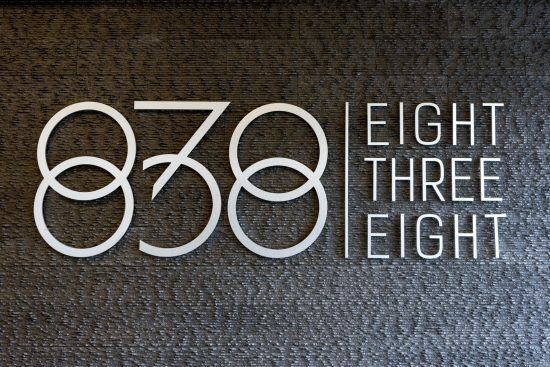 838 North Doheny Drive 301 is a residential property located in West Hollywood, CA. 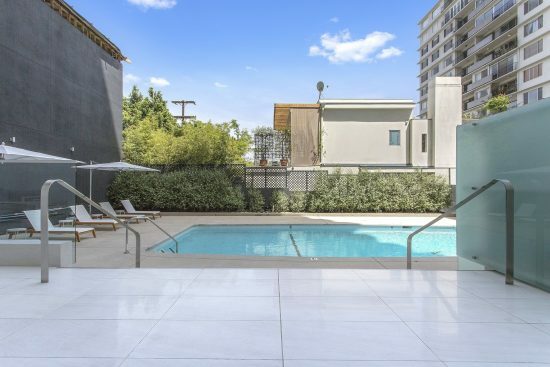 This property is 1478 sqft, with 2 bedrooms, 2 baths.